Following the June release of the draft forms, the IRS has issued draft 2015 instructions, which include a variety of changes from the 2014 instructions. For the 1094-C and 1095-C forms, the following important clarifications were provided: (1) who must file, (2) information on extensions and waivers, (3) how to correct returns, (4) an example and further information on the 98% offer method, (5) information on the new plan start month box, (6) multiemployer plan reporting, (7) offers of COBRA coverage, (8) reporting on employee premiums, and (9) break in service information. For the 1094-B and 1095-B forms there were fewer updates, with information regarding penalties for not reporting and how to file for an extension. There is no target date for the final versions of either the forms or instructions, however it is generally anticipated they will be released in the fall of 2015. The draft instructions clarify that all ALEs (employers with 50 or more employees) must file one more 1094-C forms (including the designated authoritative transmittal) and a 1095-C for each employee who was a full-time employee for any month of the year. The draft instructions provide information on requesting extensions and waivers. Automatic 30-day extensions will be given to entities filing Form 8809, and no signature or explanation is needed. Form 8809 must be filed by the due date of returns in order to be granted the 30-day extension. Waivers may be requested with Form 8508, and are due at least 45 days before the due date of the information returns. The draft instructions provided detailed instructions on correcting returns. Separate instructions are given for correcting authoritative 1094-C and 1095-C forms. Steps are given for a variety of mistakes, including incorrect full time employee counts, premium amounts, and covered individual information. Employers may request an extension of time to furnish statements to recipients by mailing a letter to the IRS with information including the reason for the delay. If the request is granted, the maximum extension that will be given is 30 days. The draft instructions incorporate the new penalties for failing to file information returns, which are now $250 for each return that an employer fails to file. 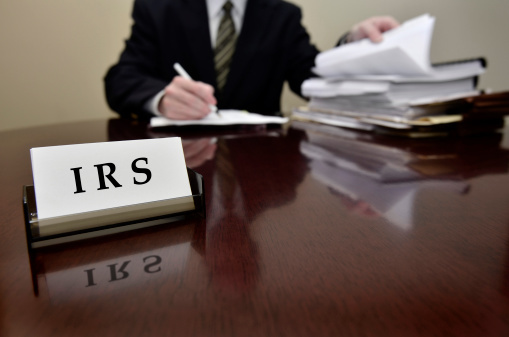 The IRS again noted that, for 2015 reporting, penalties will not be imposed for filing incorrect or incomplete information so long as the employer can show it made a good faith effort to comply with the requirements. The "grace period" does not apply to employers who fail to file or who file late. The draft instructions provided clarification of the 98 percent offer method. This method requires employers to certify that they offered affordable health coverage providing minimum value to at least 98 percent of their employees. The instructions clarify how to report on an employee in a limited non-assessment period. The instructions make clear that an individual in a limited non-assessment period does not count against the employer's 98 percent calculation. The draft instructions provide information on the new "plan start month" box, which is optional for 2015. This box is intended to provide the IRS with information used to calculate an individual's eligibility for premium tax credits, which is based on the employer plan's affordability, calculated by plan year. The 2014 instructions had told ALEs not to enter a code in Part II, Line 14 of Form 1095-C for coverage that is not actually offered, as the information must reflect the coverage offered to the employee. In 2015 ALEs with multiemployer plans are instructed to enter code 1H on line 14 for any month in which an employer enters code 2E on line 16. Code 2E indicates an employer is required to contribute to a multiemployer plan on behalf of the employee for that month, and is eligible for multiemployer interim relief. This is intended to assist with reporting challenges for multiemployer plans. The draft instructions provide information on how to handle offers of COBRA coverage. If COBRA is offered to a former employee upon termination, it is only reported as an offer of coverage if the employee enrolls in coverage. If the former employee does not enroll (even if his or her spouse or dependents enroll), employers should use code 1H (no offer of coverage) for any month in which the COBRA offer applies. If an employee is offered COBRA (due to loss of eligibility), that coverage is reported in the same way and with the same code as an offer of coverage to any other active employee. The draft instructions clarify how to calculate employee contributions: by dividing the total employee share of the premium for the plan year by the number of months in the plan year to determine the monthly premium. The draft instructions note that in certain circumstances an employee may have a break in service (which may be due to termination) during which he or she does not earn hours of service, but upon beginning service, is treated as a continuing employee rather than a new hire. The instructions clarify that the individual should only be treated as an employee during the break in service for reporting purposes if the individual remained an employee (was not terminated). An employee on unpaid leave would be treated as an employee for reporting purposes.